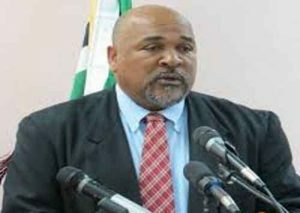 ROSEAU, Dominica, Jun 1, CMC – A senior government minister says he remains baffled as to why Dominicans are afraid of debating the issue of decriminalisation of marijuana whether it is or medicinal or other purposes. “There’s a debate on marijuana…the whole world is debating marijuana, whether it is for medicinal purposes, whether it is for religious purposes. Are we going to remain in our little world and afraid to take about marijuana? It is a discussion we need to have,” Deputy Prime Minister Reginald Austrie said. Austrie, who is also the Minister of Agriculture, told a farmer’s consultation in Salisbury on the island’s west coast that Dominicans needed to discuss and debate the issue. “In St. Vincent (and the Grenadines) they talking about it, CARICOM (Caribbean Community) has taken a decision to begin to talk about it. Why are we not talking about it more in Dominica? “That’s the question I am asking. Are we prepared as a country to begin to talk about it. It is too much like a big stick within Dominica when the rest of the world is already talking about it,” Austrie said. He told the consultation that Dominica “should start talking about it” adding “as to what we decide is another matter. “We live in a modern and enlighten world and maybe we may have a comparative advantage,” Austrie said, telling the consultation “I am not saying to use it, I am not saying to smoke it, I am not saying to sell it, but if we can grow it for medicinal purposes , the guys can come down here, they can buy it, we can package it, we can sell it, let us have that discussion on those subject matters,” Austrie said. At least two CARICOM countries –Jamaica and Antigua and Barbuda- have advanced plans for the decriminalisation of marijuana for medicinal purposes in their respective countries. Antigua and Barbuda Prime Minister Gaston Browne said the initiative would be undertaken in a controlled environment. However, the executive director of the Trinidad-based Caribbean Public Health Agency (CARPHA), Dr James Hosepdales, urged regional countries to “proceed with an abundance of caution” when it come to the decriminalisation of marijuana. Hospedales said there is much discussion on the decriminalisation issue and that there have been several times in history where populations and societies have gone very liberal with substances of abuse. “We in the Caribbean have a problem with marijuana and clogging up of the courts and the justice system and that’s understandable to try and reduce that side effect. I think though, in introducing these kinds of public policies, consideration has to be given to the full range of impact, he said, noting that if marijuana had to be decriminalised, there may be repercussions.